will hold from Ocotober31~November 2, In Wann Jiing art Center & Scijhou. Suiseki after 10 years high speed develop. winner in All Taiwan National and local stone association. Hong Lee, Yu Chuan Chou will full of 3 days programs. FESTIVAL and world Largest Convention and Exhibition. Wann-Yiing Art Center – Major exhibition area. Wann-Yiing Art Garden is located at No. 68, Sec. 4, Jhongshan Rd., Sijhou Township, Chang Hua County, right at Taiwan Provincial Freeway #1, neighboring Wann-yiing Art Center. Wann-Yiing Art Center was founded in 1992. Eleven years later, that is to say, in the year of 2003, the Art Garden was built. In 2004, the Art Garden was open to the public and ‘The Second Tree-and-Stone Festival-An Art Exhibition’ was held there. It finally has been expanding up to 5.19 hectares (51900 square meters). The owner of Wann-yiing Art Center, Mr. Chen, Tsang-Hsing, is also the President of the Foundation of the Conservation of Tree Species originated from Taiwan, Honorable Chairman of Chan Hua Tree-and-Stone Art Association, Now he is the Chairman of Nation Bonsai Association of the R.O.C. ( TAIWAN) & Chairman of 10th Asia-Pacific Bonsai & Suiseki Convention and Exhibition. Bearing in mind that he was born and grown up in Taiwan, he fulfills the aesthetics of life to commit himself to develop enthusiastically the potted landscape and the oriental arts. And he devotes himself to the protection of tree species originated from Taiwan as well as the environmental conservation. Mr. Chen hopes that people from every corner of the world will know there is a beautiful place at Sijhou Township of Chang Hua County. Wann-Yiing Art Center and Garden are the places to provide people dropping by to take a rest, having a good memory and getting relaxed to slow down the speedy life. 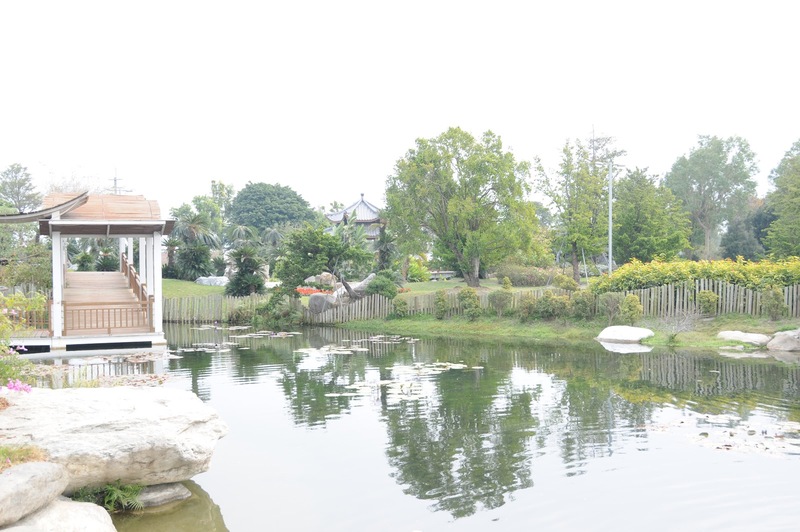 Getting rid of the conventional image of the botanical garden, Wann-Jiing Art center takes use of Landscaping art and oriental architecture to interweave the tree species originated from Taiwan and the environmental conservation, together with a transparent pond that is flowing poetically. 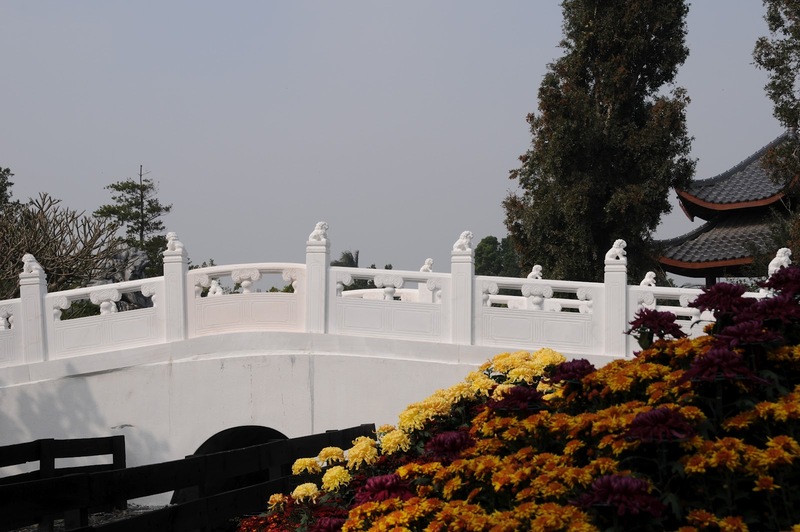 There are valuable and rare stones piled hills, elegant classical pavilions, arch bridges and corridors by the water, among which ‘Tzu Tan Ko’, a newly built facility to be open soon, is magnificent and spectacular. 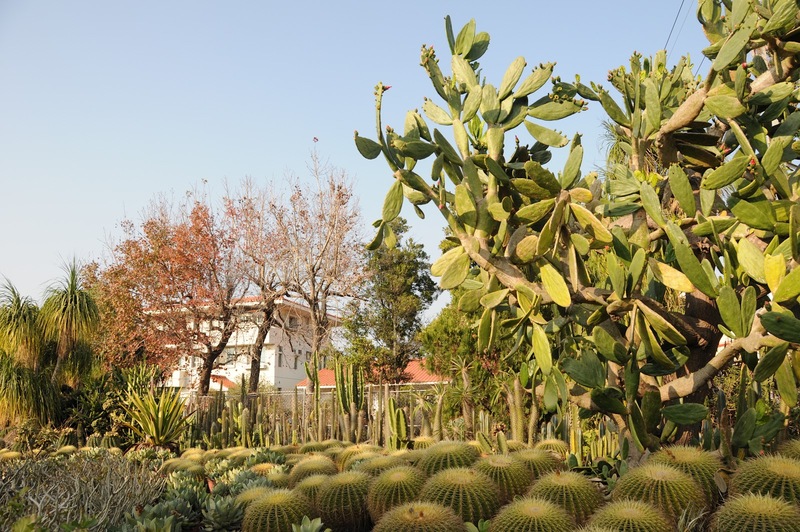 The trees in the garden are: century old Juniperus chinensis that is as monumental as a flying dragon, Diospyros ferrea, Diospyros discolor Willd, Diospyros vaccinioides, Podocarpaceae of Lanyu, Cycas taitungensis, Palaquium formosanum Hay,Heritiera littoralis, Orange Jessamine, Osmanthus fragrans Lour, etc. 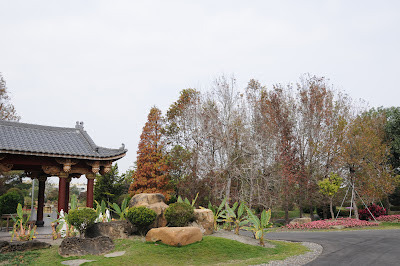 These are valuable trees originally from Taiwan. The garden also accommodates valuable trees such as: century old banyan, Bisxhofia javanica, Melaleuca leucadendron L., Celtis formosana Hayata, , Taxodium distichum. Being here, looking from all angles, you will perceive that the garden as a whole is an oriental conceptual painting of the nature itself. ‘Tzu Tan Ko’ and another two exhibition halls are for displaying top paintings, calligraphy works, carving/sculptural works, ancient imitation furniture, antique gems and jades, and other art works. In the night time, the garden is reflected by colorful lights. The beauty of the tree and the water is different form it in the day time. There is one thing worthwhile to mention. The most important architectural construction is ‘Tzu Tan Ko’ that will be open to the public in 2009. It occupies 676 square meters. The ground is 4 meters in depth, the height 13.91, and the height of the eave 5 meters. The materials for the truss bridge and the pillar which are the main structure are Hinoki and cedar ,composed by dado-and-tenon joint method mixed with RC steel construction. The diameter of the supporting pillars is 75~90 cm., made of originally unprocessed woods. The whole building costs original woods 202000 M3 (560 cubic meters). The building is imitated after Tang-dynasty style in which displays Director Chen’s twenty-year collection of top notched carving art works of rosewood. ‘Tzu Tan Ko’ will be the most beautiful guide pole of Chang Hua County when once it is fully embellished. 2004 Holds ‘The Second Tree-and-Stone Festival-An Art Exhibition’. 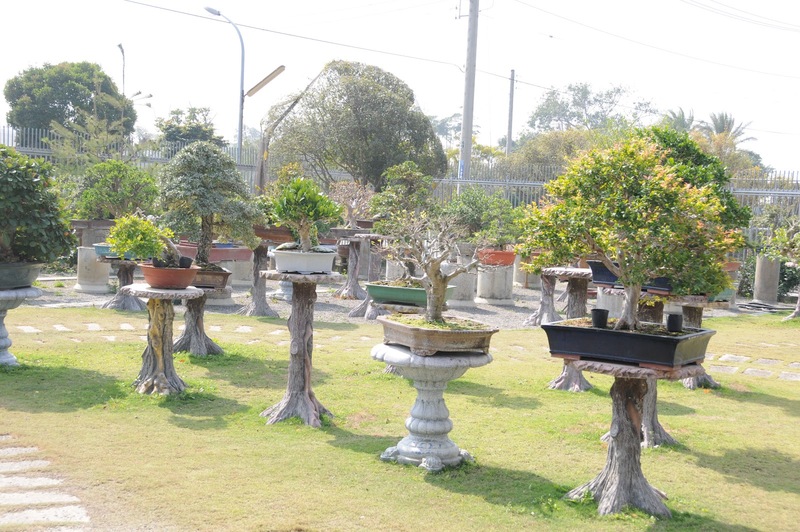 The bonsai come from all bonsai associations in Taiwan, 450 pieces in total. 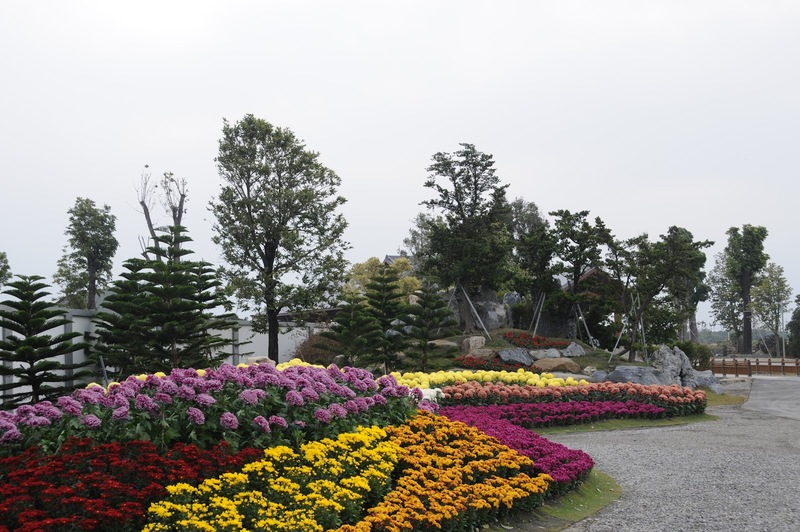 2006 Holds ‘The Special Landscaping Exhibition of Gardening Flowers and Bonsai of Taiwan’. The bonsai come from all associations in Taiwan, approximately 400 pieces in total. It also exhibits various ancient imitation works and the art works created by teachers/students of Da-Yeh University. 2007 Holds ‘Flowers in Chang Hua 2007-Special Exhibition of Gardening Art and Bonsai/flowering Art’. Except for more than 300 bonsai, there are centuries inherited Jiaozhi bonsai and other distinguished works are also displayed. 2008 Holds ‘Flowers in Chang Hua 2008-Special Exhibition of Bonsai and Flowering Art’. 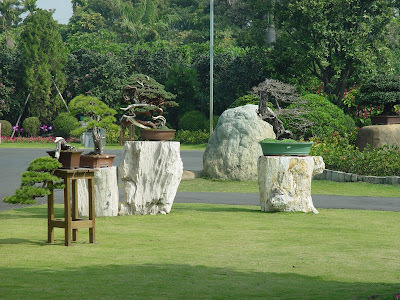 The Association of Tree-and-Stone Art of Chang Hua, theTBCA, the Association of Taiwan Ficus bonsai association. and other individuals are invited to present their works. The Bonsai are amounted to more than 270 pieces. Two exhibition halls exhibit paintings created by contemporary artists, ancient imitation furniture, delicate wood carving works and Sho San Stone chop carving works and Hinoki knots which take hundred years to grow them. Since the Garden started running, every year from Chinese New Year to Lantern Festival exhibiting Bonsai art pieces has been the garden’s important grand gathering. Bonsai are displayed to be harmonious with the garden itself, rather than arranged row by row traditionally. Wann Yiing Art center 2006 exhibition. 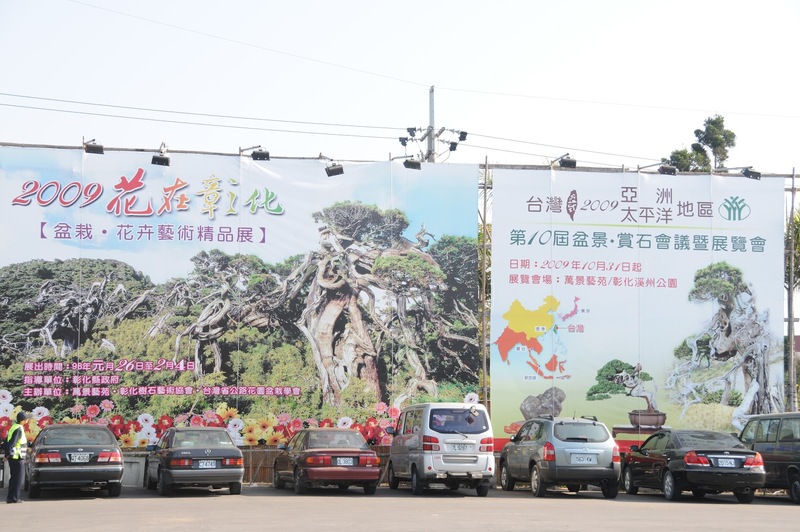 Huge billboard in the park area of Wann Yiing. 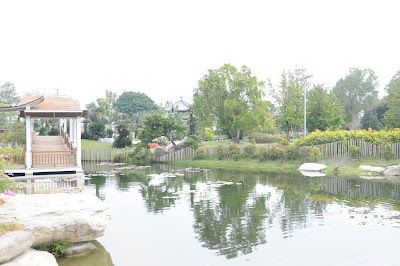 Shadeow of lake in Wann yiing. Audience are happily discussing the Chinese Pistachio. 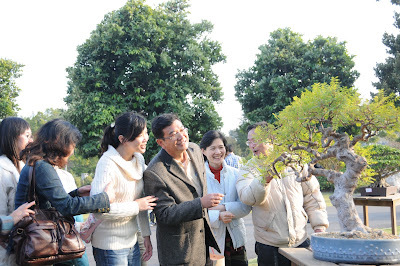 10th ASPAC have free Bonsai & Flower tour in the second day( Nov. 1), will visit Tien Wei . The location very close Wann Yiing art center,only 15 minutes by car. ,Garden, Landscape, Tool is easily to get. Meanwhile, the international Flower & Tree trade center. 80% residence’s occupation is Green, that’s about 20000 people. In the later of Ching dynasty, nearly 120 years ago. Tien Wei start to plant flower and tree. Now Tien Wei is famous for sightseeing, rent bicycle is more comfortable to travel in Tien Wei. Actually, for the window of bonsai Tien Wei is Taiwan bonsai village. Plenty bonsai nursery is full of the roadside. One of the oldest bonsai nursery is Min Hsuan Lo Bonsai Studio, that was found by his father since 1947. (pa7 ). Also Lo’s neighbor is famous succulent nursery. (pa8 ). Song Tan She nursery is another amazing please, where pretty nice tea always waiting for bonsai friends. (Pa9 ) And Ta Ken nursery is popular for commercial tree. 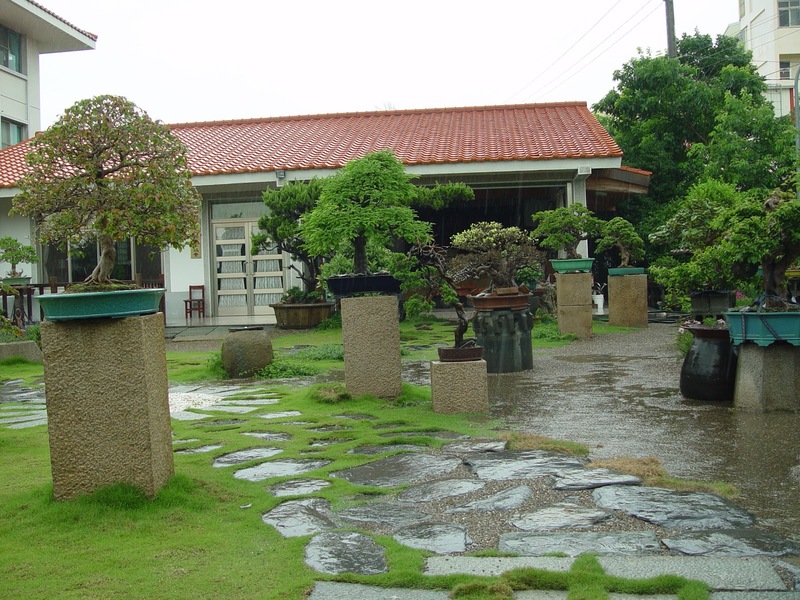 Min Hsuan Lo’s Garden in raining season. We hope you can enjoy your ASPAC tour but not just for ASPAC, stay longer to find out the real beauty of Taiwan and experience Taiwan's culture, gourmet dinning, scenic areas and much more. All of these you will never forget and beyond you expectation !